Bad reviews are just part of the business. And there is no lack of advice out there for how creative types should deal with discouraging reviews. Best selling authors recommend not reading reviews, good or bad. Others are quick to point out that no single work of art, no matter how sublime, will ever suit everyone's taste. Indeed, there is something cathartic about reading the many one-star reviews of inarguable classics like Frankenstein and Othello. But my own method for dealing with inevitable bad reviews is a little more aggressive. When I feel the pang of self-doubt after happening upon a "sorry-not sorry" one-star review of my Magnum P.I. Opus, Senlin Ascends, I update my file which contains an ever-expanding one star review of the book. For years now, I've been crafting a one-star review that is so devastating and complete, it puts all other negative reviews to shame. By writing this supreme castigation of my own work, I have effectively stolen the power from my critics. Now, when I read a poor review of my work, I think: "You call that harsh? Pfffft! I'll show you harsh!" The prose was self-conscious, turgid, and inane. The passages that weren’t overwritten possessed all the fluidity of a sandy Slip and Slide. I’m not sure what the author’s first language is, but I hope he gets a certificate in English before being allowed to publish another book. The author seems under the misapprehension that big words are always superior. And yet, incredibly, he uses many words incorrectly. The book reads like a failing effort on an SAT sample test. The author's use of passive voice and refusal to use Oxford commas is proof that he is a fraudulent phony from Bullshitville. The author’s social agenda was obvious, loathsome, and poorly articulated. He is contributing to (if not originating) the very thing he pretends to hate. The book demonstrated all the philosophical integrity of a fart in a hot tub. The characters where indistinguishable, irritating, and stupid. I would rather converse with a malfunctioning Furby than chat with one of the characters in this novelistic abomination. The plot was familiar to the point of plagiarism. The dramatic turns felt like hypnogogic jerks. I’m reasonably certain that I deduced the story's conclusion before the author did. I’ve read more compelling terms and conditions from my cell phone provider. My favorite part of this book was complaining about it on Facebook. 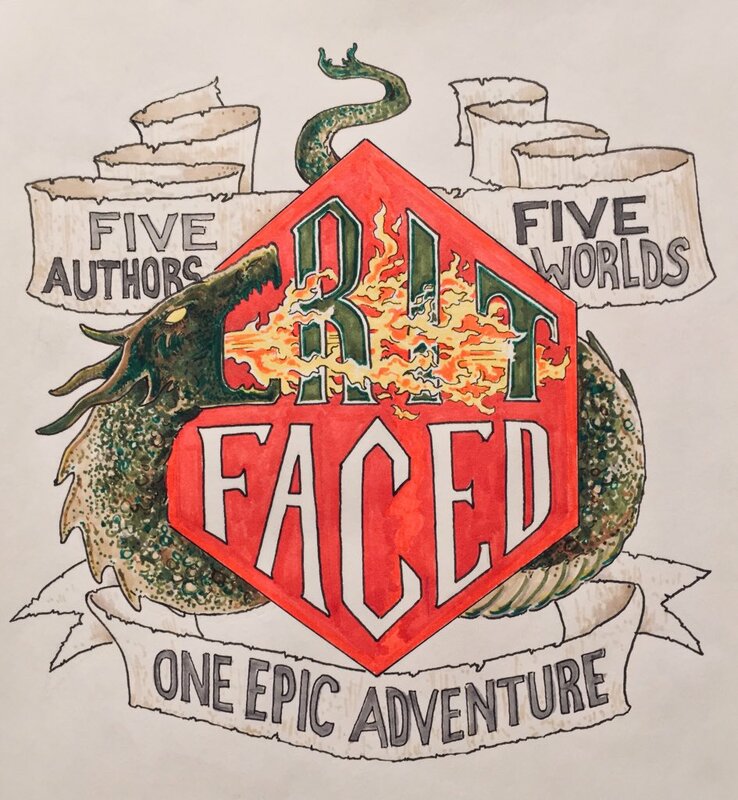 For about a year now, I’ve been playing Dungeons & Dragons via video chat with a coterie of fantastic indie writers. I had never played before, and I have to admit, I came in with some preconceptions. Growing up in a conservative household in the Deep South during the 80's, D&D was tantamount to devil worship. Kids who played the game were one step away from getting 666 tattooed on their foreheads and performing blood rituals in the scrub woods behind the K-Mart. But I've discovered that D&D doesn't require human sacrifice or pledging allegiance to any goat-footed fiends. No, the most ghastly thing about D&D is trying to schedule a time when five adults can come together to play. D&D is really about community, imagination, and laughter, all things that I love. I would describe our particular version of D&D as falling somewhere between improve theater and campfire storytelling. BEST FANTASY AUHTOR INTERVIEW EVER! Q: Which character in your book represents your mother? Q: Your books seem to have a lot of swords in them. Why? Q: How have millennials changed fantasy, and why is so much worse? Q: Can you talk about race in the context of fantasy? Which is your favorite race? Orcs, lizard-people, elves, caucasians? Are you a racist? Q: What does fantasy as a genre have to contribute to the flat earth controversy? Q: Where do books come from? Why words? Q: Ok, time for a scenario: You’re in a crowded elevator. The main cables have snapped and all the emergency brakes have failed. You suspect sabotage. You’re plummeting to your probable death with a bunch of strangers. Using only four words, what would you say to convince them to read your book? Q: If you won a charity dinner with Terry Goodkind, what would be your technique for bringing the conversation back around to him? First, I want to say thank you to everyone who took the time to conjure up a ringdom name. I received so many fantastic and funny suggestions. I had a very difficult time choosing a winner from so many interesting, well-researched, and clever entries. You’re all wonderful. Thank you. Now, without further ado… to the winners! Marc Rasp for “The Cerulean Heights” and Thomas G. for “The Shipyard." And no, I didn’t choose “The Warren” because of my well-documented love of rabbits… though it didn’t hurt. If you were one of the winners, please send your details and address to thebooksofbabel@gmail.com. If you didn’t win this time, don’t worry, there will be more chances in the future! To celebrate Orbit Books publication of the Arm of the Sphinx paperback on March 13th (US/Can),* I'm giving you a chance to win a super-bundle by naming a ringdom! ** The winning name will appear in the fourth and final book of my Books of Babel series. To enter, all you have to do is tell me what you would name a ringdom and post your answer to Twitter, Facebook, or Instagram using #namearingdom. You can also leave your entry in the comments below. The Grand Prize Winner will be selected by me and will be included in the final book in the series. This winner will receive a signed copy of Senlin Ascends & Arm of the Sphinx (Orbit editions), an Audiobook of Senlin Ascends, and an original piece of Books of Babel artwork, drawn by yours truly. The First Place Winner will be chosen at random and will receive a signed copy of Senlin Ascends & Arm of the Sphinx. Additionally, for every 50 entries I receive, I will randomly draw another winner who'll receive a signed copy of Arm of the Sphinx. All entries must be submitted by midnight on March 11 (GMT). Winners will be announced on March 12. One entry per person. There are no regional restrictions. * The paperback Arm of the Sphinx will be released on March 15 in the UK and April 10 in AU. ** What the heck is a ringdom? A ringdom is a level in the Tower of Babel. There's some debate over exactly how many ringdoms there are. Some ringdoms have colloquial names, like the Basement or the Parlor. Others are named similarly to nations, for example Pelphia, Japhet, and Andara Nur. Support and tag your local bookstores! US/CAN/UK only. Contest ends 1/31/18. EDIT: Many thanks to everyone who participated in my #senlinselfie contest! I've selected and notified the winners. If you didn't win this time, I'm so sorry, but rest assured, I will be giving more books away in the future. Thank you all for making it such a fun and enjoyable contest! It’s perfectly normal to hate your own creative work from time to time. Every creator I have ever known has at some point felt overwhelmed by the flaws and shortcomings of their work. For some, it’s almost part of the creative process. It is perfectly natural to feel discouraged. Many of the greats felt uncertain. Few of us have to be taught to be critical of our own efforts. But appreciating our own accomplishments is something many of us have to learn. Read your work. Don’t pick at it; don’t edit it. Read it with purpose and full attention. Read it out loud. Listen to yourself. Figure out what you did well. Figure out what is working. Be specific in your praise. Don’t wait for your friends, your family, your readers, your editors, or your critics to tell you whether your work is any good. You won’t believe them when they do. Decide for yourself. Love it for what it is. Celebrate your successes. If you do this, you will write better, you will generally enjoy it more, and you will still hate your work from time to time. I’ve heard many apologies and rationalizations for book piracy. I’ve heard how stealing books actually benefits the writer because it raises awareness of their work. I’ve heard how piracy is a way to subverts the corrupt system, and to stick it to the ‘Zon. I’ve heard how it’s only fair that the reader (who is a customer after all) be allowed to demo something before they buy it. You can return a shirt, why not a book? I’ve heard pirates explain that they steal because they are too poor to pay, too poor to support their local libraries. I find all these excuses flimsy at best because they all ignore the unique experience of reading a book. Reading a book is the closest I’ve ever come to sharing a dream with one other person. And it’s always a risky proposition. Before I start a new book, I don’t know what I’m getting into. Am I going to be disappointed? Will I be delighted? Is this the sort of book that is going to make me cry in a cafe or stay up all night? And what if the ending’s bad? What if the last chapter ends with, “And it was all a terrible dream!”? Reading a book is an act of good faith. I have to have faith that the author will entertain me. I have to have faith that the author knows where she is going with her story and is making good use of our time. I have to have faith that when my expectations are challenged, the author has something more interesting in mind. I must suspend my doubts and my past disappointments, and begin reading with an open mind and heart. That’s why I think book pirates are poor readers. They do not read in good faith; they read from a place of suspicion, entitlement, and a lack of respect for the work and the author. They begin by declaring, “this book and its author have no value,” and from that cynical start, they expect to experience the book the same way as someone who buys the book, who takes the risk, who reads in good faith. Book pirates risk nothing, and their reading experience suffers for it. They’re bad readers, and because of that, I don’t really care what they think about my work. Some tropes are more heavily used than others. But dismissing a work out of hand because it employs tropes seems a little silly. At the same time, tropes can be useful for identifying and discussing genre trends which readers find irksome or overused. A nuanced discussion of tropes can be rewarding and worthwhile, I think. Some readers who excitedly and simply equate a particular trope with bad/flawed/evil writing are going through that sophomoric thrill of discovering a new term or concept. I think most of us can relate to this process. When I first learned the term "bourgeois," everything was bourgeois for a solid six months. Labeling a thing is not the same as understanding it. If you are determined to label a thing, you will often mislabel it or ignore the aspects that don't match the label, which leads to a poor or incomplete understanding of it. Labeling things is part of the learning and discovery process, and though some people will stop there and never progress beyond simple labeling, for many, it is just a step along the way to a more nuanced understanding of things. I think that readers who've already gone through this process find people who are going through it particularly irritating. When I hear a twenty year old say, "Dude, don't be so bougie!" I want to yell, "Stop that! Bad! You're doing it wrong." But I don't, because once upon I time I was that twenty year old, and you know, like, I don't want to be bougie, man. The randomly-selected winner of a Senlin Ascends ARC is Charlie Davis, whose spire was indeed magical. Congratulations, Charlie! I had a very difficult time selecting a favorite entry because there were so many excellent and creative efforts. But after much deliberation, I've decided that SK Farrell's bleak tower of cosmetics stands just a little taller than her competition. Congratulations and well done, SK! 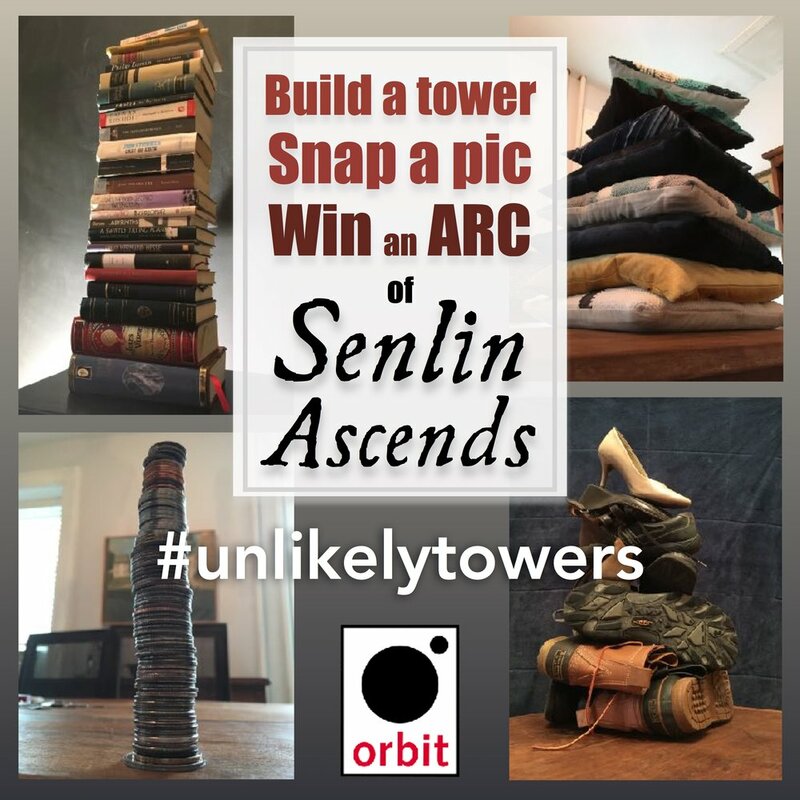 To celebrate the launch of Orbit Books’ edition of Senlin Ascends on Amazon, B&N, iBooks, Google Play, and Kobo I’m giving away two ARCs! To enter, just build a tower, take a picture, and share it . . .
One ARC will be given to a random entrant. One ARC will be awarded to my favorite entry (a completely subjective distinction). The contest closes at midnight (EST) on August 31st. One entry per person. Open to everyone, everywhere. In recent days, I've heard many people express the sentiment that they can't believe we as a society are still grappling with neo-nazism and white supremacy in 2017. Some are surprised by current events and the resurgence of fascism's popularity in the US and Europe. We want to know how it's possible that we have not yet evolved beyond such petty, transparent evil. The danger of civilization is that it begins to feel like a natural state, a permanent thing. It feels like we have ascended to the next plateau in human progress, and though we may stumble, we as a whole will continue to ascend. (After all, technology develops and improves, and isn't technology a reflection of the human condition?) But if history has taught us anything it is that civilization swings rather than ascends. Regression dogs enlightenment; tyranny chases after freedom; and technology increases our ability to destroy as well as create. When we are surprised that the same monsters that terrorized our grandparents and our great-great grandparents continue to terrorize us, our incredulity makes it easier to fall into a state of denial. And denial makes us inactive and unaccountable. I am angered, heart-broken, and repulsed by the embolden neo-nazi movement in America, but I am not surprised. Fighting violence and bigotry with indignation in ineffective. We must fight the bastards with deeds. Flash fiction requires perfect focus, absolute vision, and an economy of words that does not result in terse, halting prose. Despite these constraints, good flash fiction will be complex, nuanced, and even surprising. It will conjure up a scene or sequence or a history that is as vivid as daydream, and just as fleeting. Most importantly, it will elicit an emotional response that leaves the reader feeling differently than they did at the start. There are many types of flash fiction. The scope, structure, and intent of those types varies widely, and rarely will a piece fit snugly into any single type. But here are three types of flash fiction I’ve encountered and enjoy. Some flash fiction pieces seem larger than their presence on the page. They give us a taste of another world and sometimes infer a plot of epic or generational proportions. Usually, these stories don’t focus so much on the individual stars (the motives, conflicts, and flaws of characters) as they do the constellations that result. These stories can feel historical, grandiose, and polemical. Subtle and constrained, the vignette offers us a glimpse of another life. They are painterly, and focus on the textures and surfaces of a moment, a memory, or a scene. These are meditative, descriptive pieces that aren’t usually concerned with conflict or consequence; they have no dramatic arc, and little inflection. They often challenge the assumption that all human perception is about the same. A character stands before an open door. They are deliberating about whether to go through or not. Like an unsolved mystery, the Open Door presents us with a dramatic question, gives us some sense of the stakes, and tells enough about the character’s motivation or history to give us a sense of inevitability, then concludes without showing us what the character decides, leaving it to us to finish the story ourselves. Open Door stories depend upon a sense of fate to be successful, and yet readers will often disagree on the answer to the open question. As a result, Open Door stories can tell us a lot about how we view the world. This is far from an exhaustive list. There are many, many other types of flash fiction pieces. I’m looking forward to seeing what new worlds, scenes, and characters result from the Battle of the Bards. I hope you enter and help us to spread the word. If you know anything about my books, chances are you have Mark Lawrence to thank for it. His tireless efforts to promote the series helped thousands of readers discover my books. Were it not for him, and his wonderful Self-Published Fantasy Blog Off, my books would've likely been consigned to the oblivion of the unread. 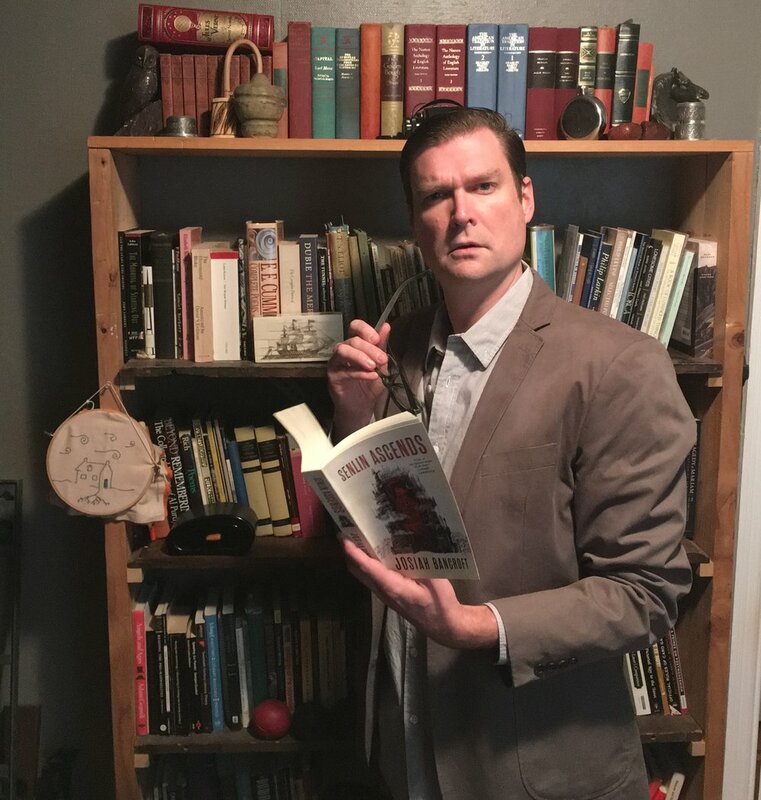 I have my agent, Ian Drury, and indeed all of the people at Sheil Land Associates, to thank for finding such a wonderful publisher for me to partner with. I wish to thank all the people who have taken the time to write reviews of the books, including Pornokitsch, who first attracted Mark Lawrence's attention to the series, the Wertzone, who fanned the flames of interest, and Emily May, who helped to spread awareness of the series to the Goodreads community. I'd also like to thank the thriving and welcoming subreddit, r/fantasy, for providing me with a much needed online community. I'd like to thank the community of writers who participated in the 2016 Self-Published Fantasy Blog Off for being supportive of my work: Dyrk Ashton, Phil Tucker, Timandra Whitecastle, Benedict Patrick, and David Benem, among many others, all of whom are incredibly talented and hard-working and deserving of your attention. I owe Ian Leino more thanks than can be expressed in a few lines. He supplied the series with its striking cover art, which has attracted many, many readers. He took me to conventions, shared his expensive booth space, and taught me how to flog my books. He encouraged me to persist with the series when I was whinging and threatening to quit. And he did all of this out love, generosity, and faith in my work. Finally, I wish to thank my wife, Sharon, who supported me emotionally, creatively, and financially through so many ill-conceived creative projects, and who, despite my best efforts to dissuade her, never lost faith in my abilities. Were it not for her tireless love and support, I would not have had the confidence, focus, or opportunity to write these books. Don’t talk about your ideas or intentions. It’s normal to get excited about a personal goal. It’s also normal for writers to think about their current projects compulsively. So, it’s only natural for us to want to talk about our ideas and current projects. We want to share our passion and excitement, and we want someone to validate those feelings. But by receiving this premature validation, we erode the motivation that we need to do the work. We are less likely to finish something if we talk about too much. Productive writers are often secretive about what they’re working on because they don’t want to lose the drive to finish it. They’ve learned to take validation from doing the work rather than talking about it. Reading will teach you everything you need to know about writing if you read broadly and carefully. Workshops, conferences, creative writing programs, and writers’ residencies are primarily social engagements. Writing is a lonely business, and so writers naturally look for access to a community. These interactions have an interpersonal value, but they will never teach you half as much about writing as reading will. Read classics, read your contemporaries, read outside your genre, read books that intimidate you, and read every day. Don’t be discouraged by people who brag about all the important, obscure, or difficult books they’ve read; many of them are exaggerating, anyway. Read at your own pace, but don’t stop reading. Develop your own standards and define your own expectations for your work. Don’t look to your peers for validation. You can always find someone who is worse than you, and if you’ve read enough, it’s also easy to find someone who is better than you. While it’s natural to be aware of other writers’ failings and strengths, you’ll drive yourself crazy if you spend too much time measuring your work against the genius of others. Learn to appreciate your accomplishments; learn to identify your weaknesses. Neither critical acclaim nor popular reception will give you lasting self-confidence or self-knowledge. Uneasiness, insecurity, and failure are essential to growth. Learning is often an uncomfortable process. It requires a lot of effort: some of it tedious, much of it discouraging. We can’t grow unless we are dissatisfied with our first efforts and our past accomplishments. We can’t grow unless we risk failure and exposure to scrutiny and criticism. It’s important to remember that failure is unavoidable. Those of us who never take risks don’t avoid failure, we just defer it to the end of our lives when we have nothing to celebrate, nothing to take pride in. That final failure is infinitely worse, not least of all because there is no opportunity for success. If you persist and if you learn from your experiences, you will eventually succeed. There are, of course, many different kind of success, and not all of them end in mansions and mobs of adoring fans. But the success that you earn by dent of diligence and sweat will be incredibly rewarding. I promise. It's a near certainty at this point that I will be signing with an excellent and venerable publisher in the next few days. We've hashed out our terms, and they are drawing up the contract. I look forward to making a formal announcement very soon. This means the Books of Babel will have a new home, and my days of self-publishing the series will come to a close. When that happens, I won't be able to sell my editions any longer. I had hoped to release the hardcover of Arm of the Sphinx sooner. Unfortunately, I won't have time for a broad release. I was able to order 50 copies, which I will be numbering. The paperbacks are $15 apiece, and the hardcovers are $30. I use PayPal to handle transactions, and I'm happy to ship anywhere in the world. (Shipping and handling in the US is $5; Canada $15; UK/EU$25; AUS$30. Multiple books will increase shipping costs slightly.) If you'd be interested in buying a copy, please email me at thebooksofbabel@gmail.com. In the interest of fairness, I'm going to limit everyone to one copy of each edition per order. (So, you can order the series if you like, but I'm not going to send 10 copies of Arm of the Sphinx to a single reader.) I'm selling the books on a first come, first serve basis. I am, of course, happy to sign and dedicate your copy as you request. Sadly, I don't have time to doodle at the moment. Chances are, the new editions will feature new cover art. I will do my utmost to keep Ian Leino involved in the series. His covers and conceptual art has been essential to the series' identity and has undoubtedly contributed to the books' success. But if you, like me, are a fan of Ian's original covers, this may be your last chance to get a copy of them. I recently received this collection of dirigible diagrams from one Master Weston Early, age 11. I was so impressed by the ingenuity and diversity of his imaginary fleet that I could not help but share it with you. I appreciate the attention Master Early has given to the manner and means of flight. Fantastical engineering requires a special sort of creative thinking, one which embraces physical laws while imagining fantastical exceptions. The flourishes here are also excellent; not only do I believe these machines are capable of flight, I'm sure they'd be aesthetically pleasing to sail upon. And one should not discount the military might of these crafts. Well placed batteries of ten and twenty pound guns await any foes who might be foolish enough to challenge them. I suspect that Master Early has a long career ahead of him as a designer of dirigibles. We'd all do well to keep one eye on the sky for his creations. Before I announce the winners of the contest, I would first like to thank everyone who entered for their incredible artistic efforts. Your doodles brightened my day! The Grand Prize and Runner Up winners were chosen using a random number generator. I selected the third winner myself. I'd ask all the winners to please email me their address so that I can send the prizes on their merry way. The Grand Prize winner of my Doodle a Dirigible Contest is Charlie Hopkins, who doodled The Disco. Congratulations Charlie! You will receive an original drawing of the Stone Cloud in addition to both book cover posters. The Runner Up, who will receive a poster of their choosing, is Khiem, who submitted the Cetcaelum. Well done, Khiem! It was difficult to choose a favorite entry because there were so many worthy airships. In the end, I chose the entry that I personally found the most evocative. Congratulations Marc Rasp for your splendid craft, the Postale. And thank you again to all who took a moment to share their vision of ships that never were and never flew except upon a paper sky. Doodle a Dirigible, Win Some Art! It's time for a contest, my friends! This time, I'm giving away an original, signed drawing of the Stone Cloud and posters of the book covers (10"x13"). The winner will receive the original art in addition to both posters. A runner-up will receive the poster of their choosing. To enter, all you have to do is DOODLE A DIRIGIBLE. Draw an airship and email it to me at thebooksofbabel@gmail.com, or Tweet it to @thebooksofbabel, or upload it to my Facebook page. The winner and runner-up will be drawn at random, so don't fret if you're not an artist! I will also send a poster to whoever's drawing is my favorite. So, you have three chances to win. Not bad for a doodle! Anyone can enter, but only one entry per person, please. CONTEST EXTENDED: Several of you have asked for a little more time to create your art, so I have extended the deadline for entries to March 15th (Noon, GMT).